With Easter just around the corner, kids can create easy Easter crafts with Wikki Stix. Gather your Wikki Stix and a few simple materials for a fun-filled crafting day with kids! 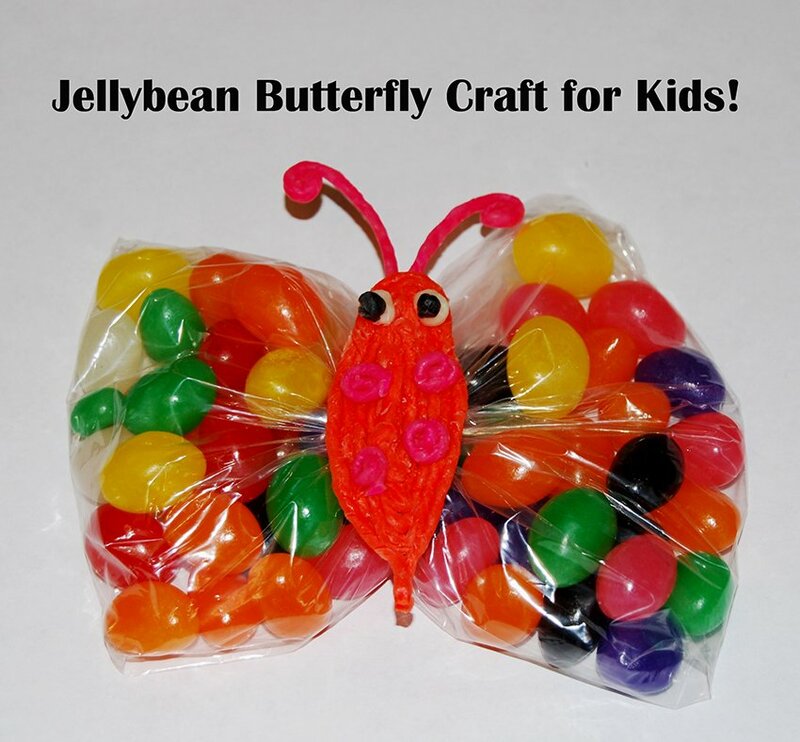 Wikki Stix Jellybean Butterfly Craft for Kids! Instructions: Fill one sandwich bag with jelly beans and fold the top over to close the bag. Gently pinch the bag in the center, wrap one Wikki Stix around the bag, and twist the Wikki Stix closed to form the butterfly wings (see photo below). To create the butterfly: invite the kids to fold one Wikki Stix in half, pinch the ends together, and open to form an oval-shaped loop – this shape will become the body of the butterfly. Have the children fill in the shape with additional Wikki Stix. 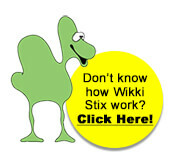 The butterfly can be decorated with assorted color of Wikki Stix. The eyes are created with small white and black pieces of Wikki Stix formed into balls. The antennae are created by placing two Wikki Stix behind the body of the butterfly. 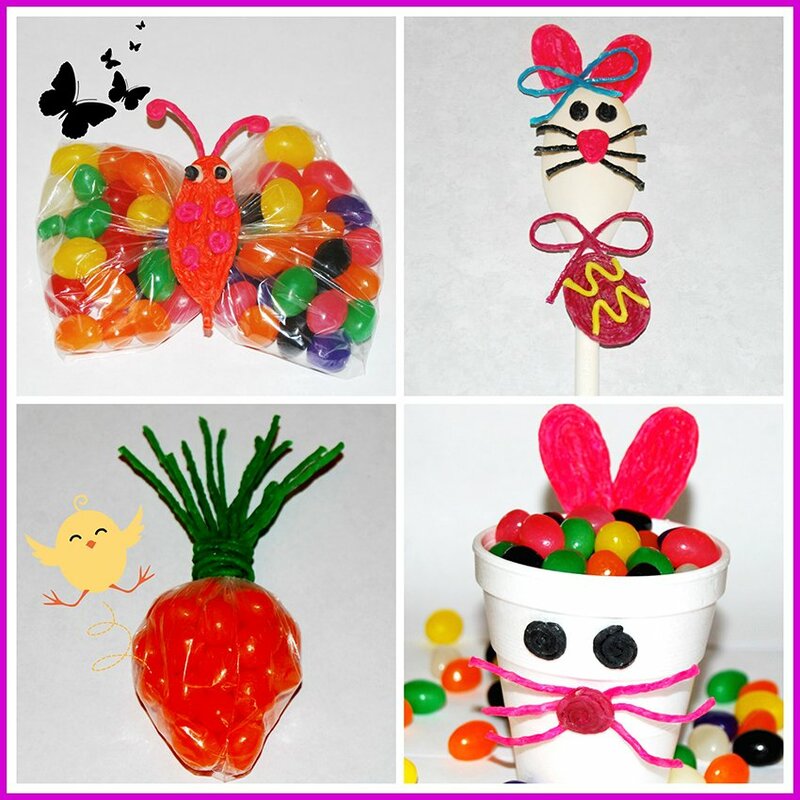 The Wikki Stix butterfly crafts make great treats for Easter baskets or any spring celebration! Wikki Stix Jellybean Bunny Craft for Kids! Invite the children to create bunny features with Wikki Stix on the Styrofoam cups. To create the bunny ears: begin with one pink Wikki Stix and wrap it tightly around itself to form a spiral or pinwheel shape. Keep wrapping pink Wikki Stix until the children create the desired ear size. Mold the spiral into more of an oval by pinching the sides of the shape together. The children will need to create two bunny ears. Press both of the bunny ears firmly behind the Styrofoam cup. To create the eyes/bunny nose/whiskers: invite the children to cut pieces of black Wikki Stix and create balls or spirals for the bunny eyes. Press the eyes firmly to the cup. The bunny nose can be created with a Wikki Stix ball or triangle shape created with purple or pink Wikki Stix. Again, have the kids cut black Wikki Stix to resemble bunny whiskers. Press each of the black whiskers behind the created bunny nose and then attach firmly to the Styrofoam cup. 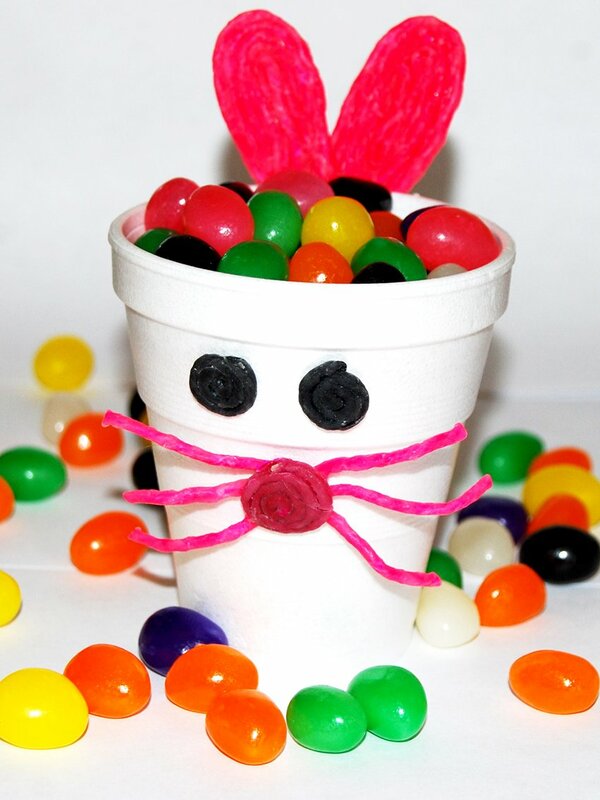 Fill the cup with jellybeans for a decorative, yet simple, Easter party craft and treat! Wikki Stix Jellybean Carrot Craft for Kids! 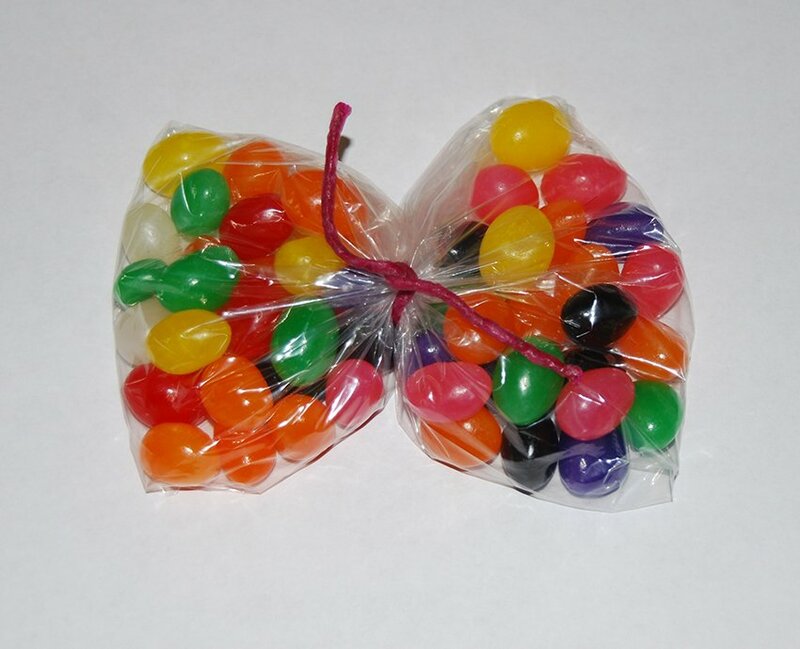 Instructions: fill one sandwich bag one-half full with orange jellybeans. Take one Wikki Stix, wrap it around the bag, and twist the Wikki Stix to close the bag. With additional green Wikki Stix, continue wrapping around the top of the bag to seal the bag firmly and create the carrot top (see photo above). Cut away any remaining portion of the sandwich bag with scissors. Have the children cut several green Wikki Stix into halves. Attach the green Wikki Stix halves to the top of the carrot to finish the craft. Additional ideas for fillers: fill the sandwich bag with real carrots, corn curls, orange chocolate coated candies, or orange jelly slices. 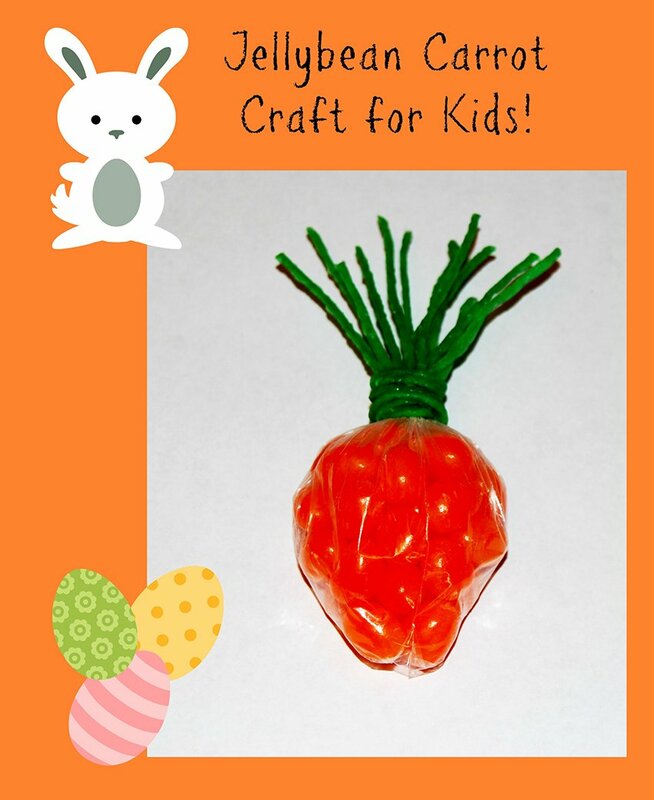 The Wikki Stix carrot crafts are easy to make and give for a special Easter treat! Wikki Stix Plastic Spoon Easter Bunny Craft for Kids! Have the children create bunny features from Wikki Stix to decorate the white plastic spoons. The children can create features per the instructions in the Styrofoam bunny craft above or design and make their own version of the bunny spoon. Bows for the bunny spoon craft can easily be created with Wikki Stix as well as spiral shaped Easter Eggs. 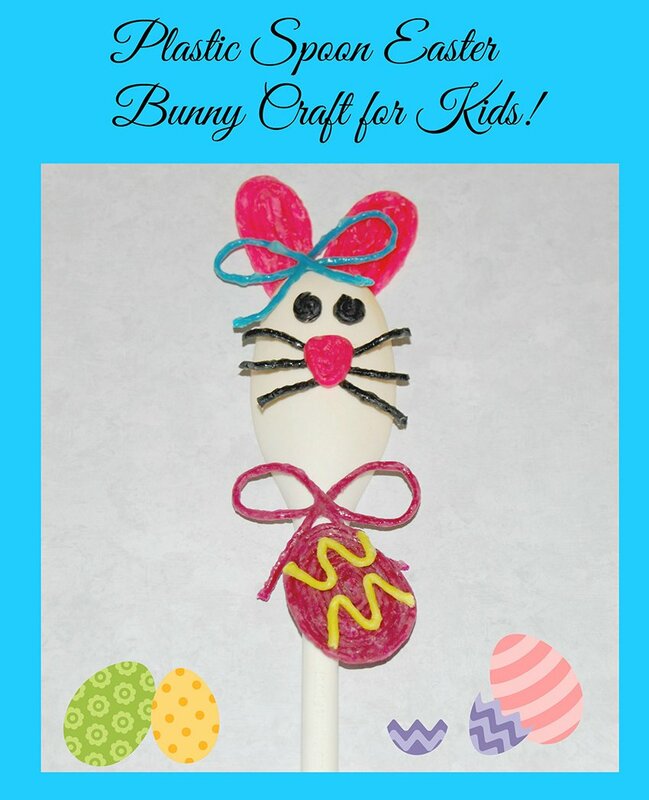 The plastic spoon bunny crafts are fun to use for a spring or Easter contest for families! Invite neighborhood families to create a bunny spoon craft and judge which family has the most creative design! The bunny craft is also a great make and take craft for kids to give at Easter!